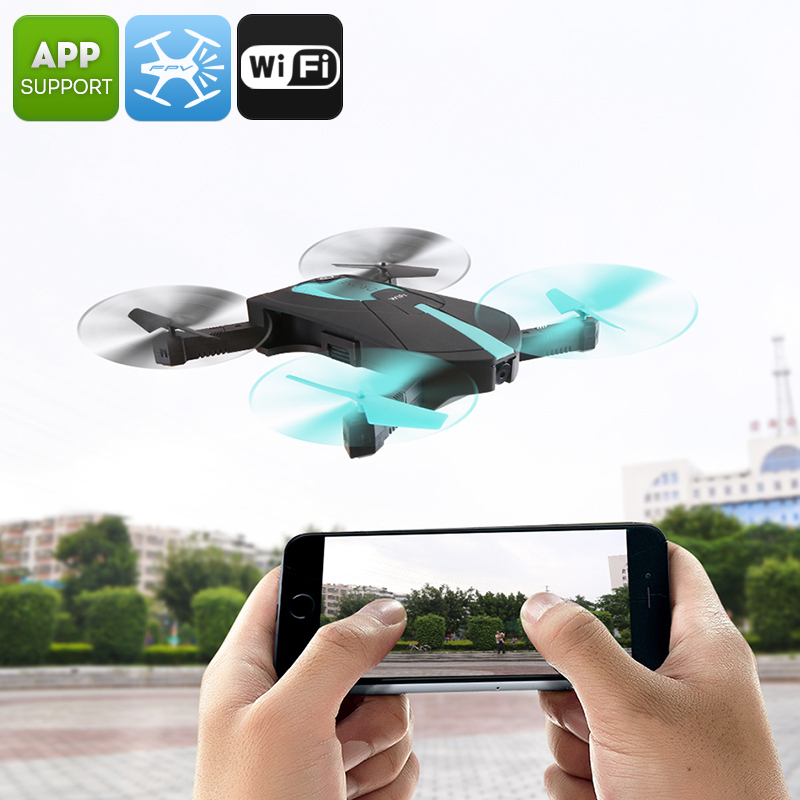 Successfully Added JYO18 Drone - Foldable, Camera, 6 Axis Gyro, FPV, 30M Range, Smartphone Control App to your Shopping Cart. At about the size of a Smartphone, the JYO18 pocket drone from Jun Yi Toys is a revolution in flying fun. With fold way propeller arms and weighing 86 grams, it can easily slip in a jacket pocket so it is ready for travel. 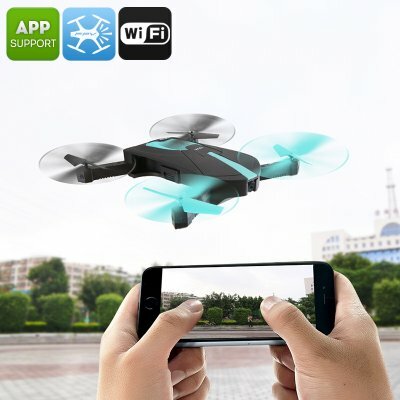 This user-friendly drone is perfect for snapping selfies on your travels and the smartphone app has all the functions you need to fly and snap images with ease. Controlling the drone is a piece of cake and done via a smartphone app. A six-axis gyro keeps the drone steady so even those new to drones will find it easy to mastering flight and makes this selfie drone feel like an extension of your arm. A small camera mounted on the front of this pocket drone delivers FPVs so it's easy to see where your flying. You will also be able to line up photos and record video which will be saved directly onto your smartphone. When you have mastered the basics you can get more advanced and enjoy flips and summersault with the drones advanced flight. A great way to impress those around you. With its light weight and compact size, the drone still manages to hold a 500mAh battery that will bring up to 8 minutes of fun flying time. Coming with a spare set of propeller blades and removal tool this RC quadcopter is a true delight to fly and will let you experience flight on a budget. The JYO18 pocket drone comes with 12 months warranty, brought to you by the leader in electronic devices as well as wholesale quadcopters and camera drones..